A number of years ago, my husband and I took a trip to France for our anniversary. We hiked across the Vaucluse wine country in ninety-degree weather, got sunburned and exhausted, and developed plenty of blisters. We also ate splendidly. 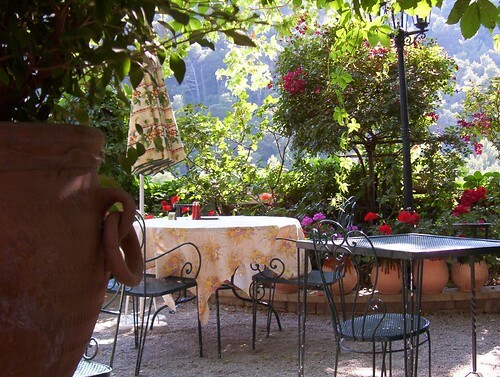 I fell in love with the Provence countryside at the same time as I was discovering dry rose, salad with a poached egg on top, hot milk for coffee, and fresh soft cheese. Oh, the cheese! 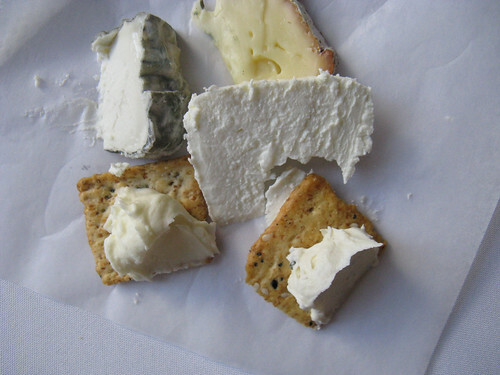 At the conference I went to last month, there were many fine cheesemakers represented. Most I had encountered before, such as Mt. Townsend Creamery and Estrella. Willapa Hills Farmstead Cheese, however, was new to me, and their cheese was so delightful I loaded up on samples and completely neglected the (also wonderful) Mt. Townsend. And as I was collecting my bits of cheese, the man at the counter asked, hopefully, if I wanted to try the fresh sheep cheese. Apparently the last several people didn’t even want to taste it! Naturally, I took some. The cheese was all excellent. Mostly it was blue, which isn’t my favorite, but I still liked it. 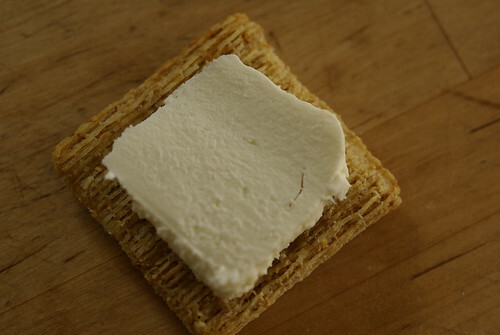 The fresh cheese, however, was exactly what I’ve been looking for all these years. Bright, milky and grassy, with a slight silky cream-cheese texture, and just a touch of sheep, it was very, very close to the goat’s milk cheese I had fallen in love with in Provence. I took a card from the cheesemaker and vowed to find a source. And last week at my local co-op, I was glancing over the cheese shelves just in case, and there it was. 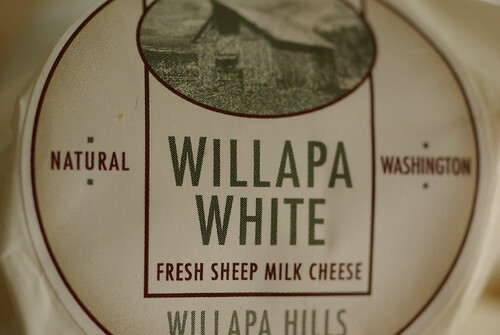 A single round of Willapa Hills cheese, and it was the Willapa White fresh sheep cheese! 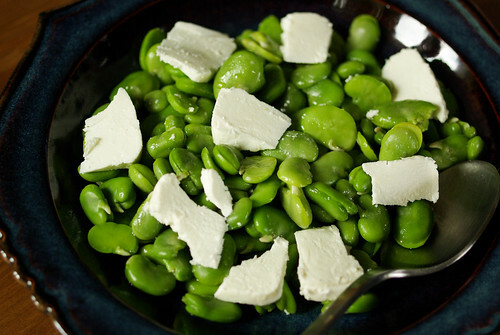 I did a little happy dance and whisked the cheese home with me, to eat with fresh fava beans and crackers. At last! How lucky are you? It is always such a treat to find a food locally that you’ve experienced far far away. I feel that way about fresh pecorino. After staying in a small farming village in Tuscany, and eating fresh pecorino pan fried quickly so a crust formed…I’ve been searching for it here since. 8 years and counting and still haven’t found fresh pecorino that is as young as that cheese was! Congrats – I’m now hungry again. I rather regret that the one time I got fresh pecorino every day (living in a small town in the Marche) I didn’t appreciate it, as it was too strong for me back then. 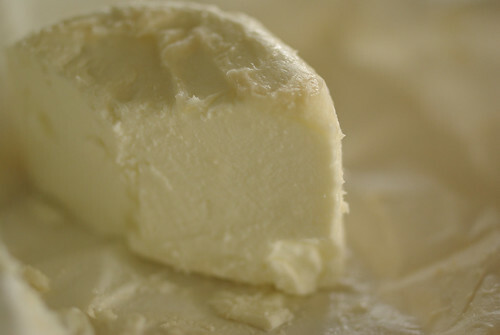 I did love the ultra-fresh mozzarella I ate in Urbino, seared on a hot grill and served plain. It’s hard to find really fresh cheese in this country, but at least we’re making progress!